AMMA principal employee relations consultant Bill Fitzgerald provides insightful advice following a recent decision from the Fair Work Commission outlining the definition of ‘reasonable management action’ in claims made under bullying jurisdiction. 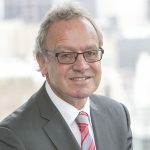 A RECENT decision by Commissioner Peter Hampton of the Fair Work Commission rejected a manager’s claim that she had been subjected to repeated unreasonable treatment by two of her subordinates. This is a significant decision as it is the first time the Commission has articulated the meaning of ‘reasonable management action’ in the context of contested facts. The decision also outlines in specific detail what an applicant must prove in order to justify a bullying complaint. The facts of the case are somewhat complex and involved a number of claims and counter claims by a manager and 2 subordinates which ultimately led to the employer conducting an investigation which was subject to a report protected under legal privilege. The manager alleged ongoing bullying by one of the subordinates and that the employer was involved in bullying conduct because of its decision to investigate the complaints and its failure to prevent similar conduct happening again. Commissioner Hampton found that that the receipt of the two complaints and subsequent investigation was not unreasonable and indeed was the prudent response by the employer. The Commissioner was of the view that s789FD (2) of the Fair Work Act 2009 and the explanatory memorandum suggested that the intention of the legislation was to exclude reasonable management action on the basis that ‘it would pick up everyday actions to effectively direct and control the way work is carried out’. The Commissioner also did not require a copy of the investigation report but it was enough to advise the Commission that the investigation had been carried out and what its findings were. In rejecting the complaint, the Commissioner found that some of the behaviour was bordering upon unreasonable but did not fall within the meaning of bullying under s789FD. “There is no specific number of incidents required for the behaviour to represent ‘repeatedly’ behaving unreasonably (provided that there is more than one occurrence), nor does it appear that the same specific behaviour has to be repeated,” he said. In addition, the Commission considered what constituted a risk to health and safety and concluded that ‘cases on causation in other contexts suggest that the behaviour does not have to be the only cause of the risk, provided it was substantial cause of the risk viewed in a common sense and practical way; the risk must be real and not simply conceptual’. This decision is helpful in that it specifically defines what an applicant must prove in order to successfully bring a bullying complaint against co-workers or an employer, but it also specifically defines what can be deemed as reasonable management action. To accommodate these new revelations from the Fair Work Commission, AMMA members are advised to update policies to reflect new bullying requirements. Managers and supervisors should also be trained in managing conflict and coaching bullying awareness to all employees. Finally, AMMA members should act in accordance with their policies, including the implementation of bullying investigation processes. AMMA’s workplace relations experts can provide guidance on your organisation’s bullying policy, advice on how to manage associated issues and information about new bullying jurisdiction. Contact your local AMMA office to speak with one of our workplace relations consultants today.